There are few names as revered in the Northern Rhône as the name Graillot. It was in 1985 that the legendary Alain Graillot, who after working with Jacques Seysses at Domaine Dujac, came back to his home in Crozes-Hermitage to start his own domaine. With each passing year, his devotion to the art of making hauntingly delicious Syrah has been rewarded with an ever growing and highly dedicated following around the world. And so it would seem quite the daunting task for the child of such a luminary to follow in the footsteps of such a giant. 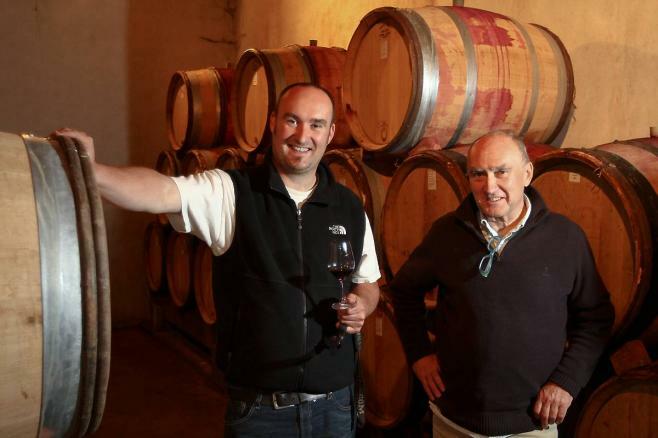 Well luckily for us and the wine world, Alain’s eldest son Maxime Graillot not only continued the legacy started by his father, he also blazed his own trail in winemaking excellence. Maxime trained under his father from a young age and in 2004 decided to split his time between his father’s domaine and establishing his own namesake winery. Knowing where the best land in the Rhône was to be found, he purchased parcels in the village of Beaumont-Monteux, just south of Alain’s plots in La Chene Vert. He converted the previously conventionally farmed vineyards to organics, making sure to soils were constantly ploughed (allowing the roots to dig deep into the gravel) and banned the use of herbicides. The results were incredible from the start. Compared to Alain’s wines, Maxime’s are similarly exuberant and expressive, but perhaps with a bit more fruit power behind them – possibly a result of Maxime de-stemming nearly all of his grapes, whereas Alain does not de-stem. They possess an effortless grace and charm that has become a staple of the Graillot style. Any lover of Northern Rhône wines owe it to themselves to pop a bottle, and be enveloped in the warm embrace of pure Syrah bliss.